Man Utd host Brighton at Old Trafford on Saturday afternoon as Ole Gunnar Solskjaer looks to continue his impressive start to life on the bench. The Red Devils have rattled off six consecutive wins across all competitions since the Norwegian tactician arrived last month, while they seem to have found a solution to their issues of scoring goals and keeping clean sheets. 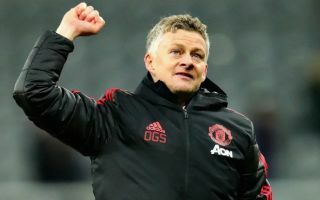 They’ve scored 17 goals and conceded just three under Solskjaer, and he will be hoping that they can continue that rich vein of form to continue to close the gap on their rivals ahead of them in the Premier League table with Chelsea and Arsenal meeting in the late kick-off. In order to do that, it’s no real surprise that he’s gone for a strong line-up, with key stars such as Paul Pogba, Marcus Rashford and Anthony Martial all starting again in an unchanged side from the one that saw off Tottenham last time out. As noted in the comments below from many supporters, they are delighted to see that consistency in the XI, and it should certainly help United to maintain their good form by avoiding changes where possible. Time will tell if they can secure the desired result, but based on their recent form and how Solskjaer has helped lift the mood at Old Trafford, an expectant home crowd will want to see another three points secured. Such a beautiful sight to see a consistent team ? This team won against spurs and they all played well so its good ole started them again.